There are hundreds of chocolate bars out there in the wide wide world that is junk food. What makes our third entry to the Great-List so much better than just good? Well, #3. 3 Musketeers Bar is the recipient of my gush-fest today for reasons that are manifold. One of my favorite ways to tear up a 3 Musketeers is to eat the thin layer of chocolate off first and then just devour the light milky cocoa nougat as is. The same technique is utilized for stripping the chocolate and caramel from the Twix biscuit. As an eater, I am definitely a ‘save the best bite til last’ kind of person. I do this with most snacks and meals. I identify what I think is the most savory or sweetest bit and then eat around it until at the very end, I am rewarded for my patience and strategy with the absolute best mouthful–that corner of pizza with the best sauce to cheese ration or the spoonful of stuffing, potato, peas, and gravy from the very end of my Thanksgiving plate. Here in Jolly Old, they don’t have 3 Musketeers. They have a candy bar called Milky Way (not our Milky way with the caramel and what-not). Their Milky Way isn’t miles off. In that bar, the nougat is vanilla and not chocolate. 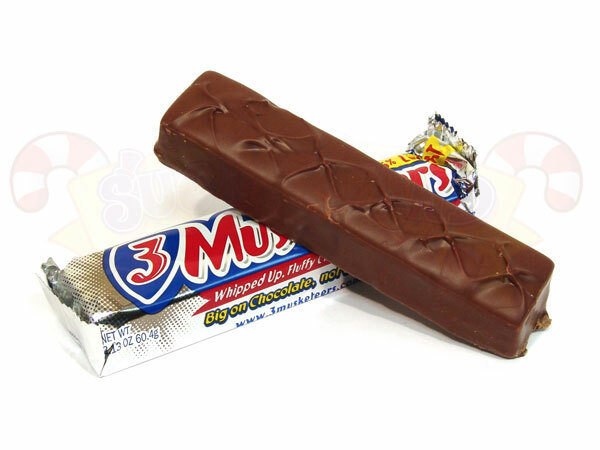 (interestingly, in reading some on-line candy reviews–oh yes I did–it would appear that our 3 Musketeers bar is actually what the Brits Milky Way bar used to be like before they re-tooled it in 1989…Brits that miss their old Milky Way reach for our Musketeers when they can find it). The British Milky Way serves some kind of purpose, I suppose, but I can’t say it fills the whole in my heart. I always grab a few of the real deal at the airport when I’m in The States. Into my carry-on you go! It’s an M&M/Mars property and has been around since 1932. Just in time to cheer our ‘depressed’ country up! Originally, 3 Musketeers was in three pieces and those pieces were distinct flavors–chocolate, vanilla, and strawberry. Like Neopolitan ice-cream!!! They marketed it as a bar that was big enough to share with your friends. Good values!!! It was turned into the singular version that we know today when the fresh ingredients for the Strawberry flavor became too expensive for the makers to use. A 3 Musketeers density is light enough that it can float on water!!! A 3 Musketeers bar has all your days essential vitamins and nutrients!